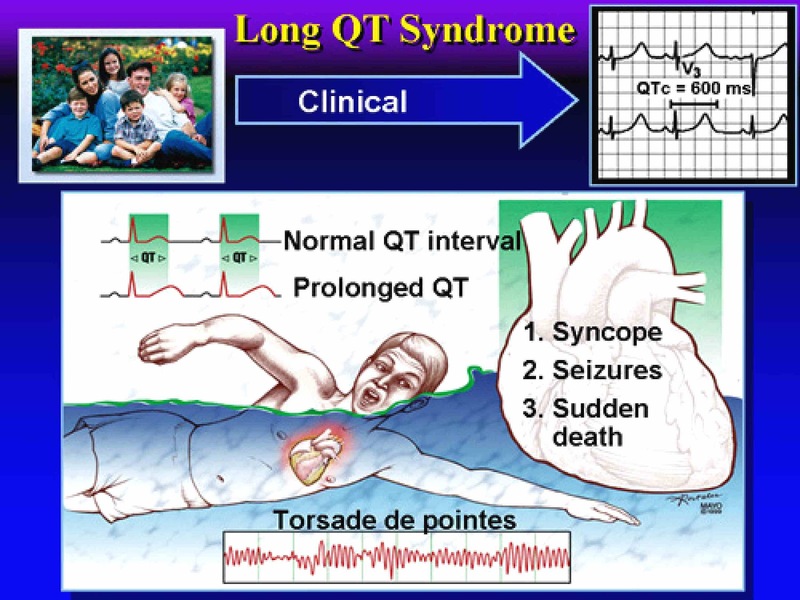 Sudden death in young people has a genetic cause - Long QT syndrome. There is a predilection for some young adults to suddenly die. In a way it is similar to cot death: until now the cause was unknown. 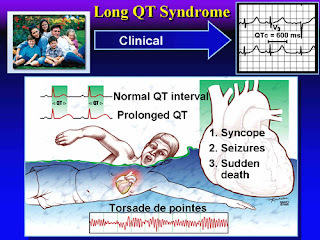 The "disease" has been identified and is called Long QT syndrome. A third of sudden "unexplained" deaths in people up to their mid thirties die of heart rhythm complications due to the inherited illness. The heart problem is not always evident in autopsies. Parents can also die of the condition in later life. The faulty gene runs in families and is generally passed on to some offspring. A gene testing study of children having symptoms of heart disease is showing that many carry the gene.